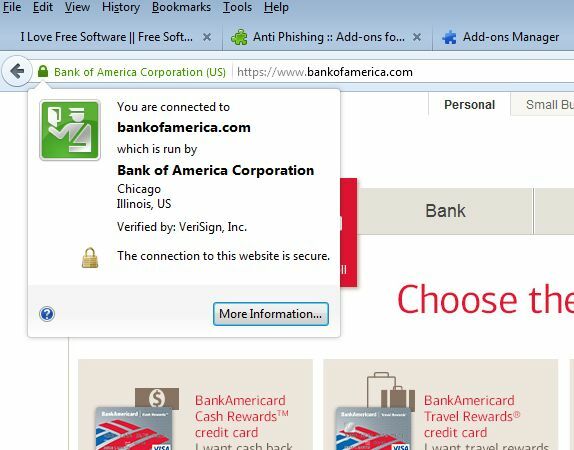 Here’s a list of 3 free anti-phishing Firefox addons which will protect you from phishing scams, one of the most widespread ways how people lose their login information for social networks, websites and what’s even worse, bank accounts. A phishing scam is, in short, when a third party imitates a website (Facebook for example) and then asks you to submit your login info on that fake website. They then collect your information and redirect you to the real website. Here’s are addons that can help you avoid that. 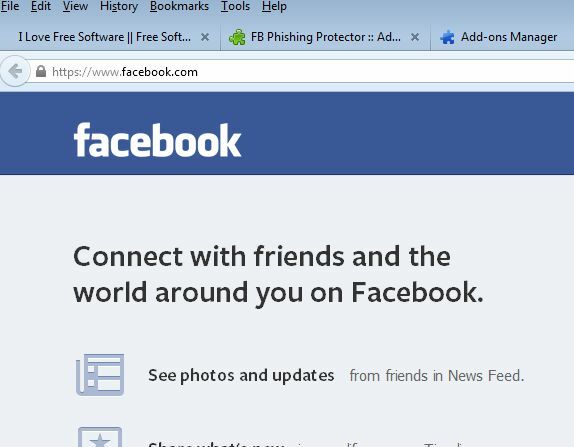 FB Phishing Protector is a website specific anti-phishing addon for Firefox and the website that it can help you with is, belive it or not, Facebook. Addon works for the most part in the background, you won’t even know that it’s active until you open up Facebook. When Facebook is accessed, a small notification will pop-up telling you that protection is active and all is fine. If you visit a website that might be imitating Facebook in order to steal your login information, then you’ll be notified with a large pop-up that the website you visited isn’t Facebook and that you should be careful. Addon protects you by checking domain names and by sniffing for any scripts that might be setup to attack you. Anti Phishing is a multi-purpose anti-phising addon that’s available for Firefox and its aim is to provide protection not just for 1 website, but for all websites that try to steal information via phishing. 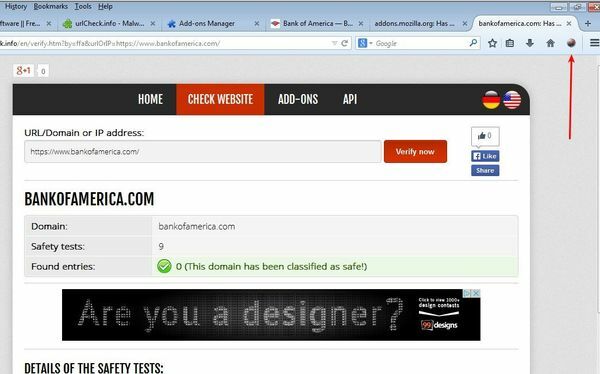 If the website that you visit starts looking suspicious, for example, has the same layout that a bank’s website has but the domain isn’t that of an actual bank, then you’ll be notified that something’s wrong and that you need to get out of that website as soon as possible. Addon will try to do this for every website that you visit, but since there’s a lot of websites out there it’s not guaranteed that it will always work. urlCheck.info is a website that offers an excellent service. You type in an address and urlCheck gives you an analysis whether or not the website whose address you submitted is safe or not. With the addon that we mentioned above, you’ll be able to easily submit a website to urlCheck.info by simply clicking on the addon icon in the top right corner of the screen. urlCheck will use its database and report back whether or not is it safe to login on the submitted website. Get urlCheck.info – Malware & Phishing-Site Detector. urlCheck.info is an anti-phishing addon that you can rely on the most if you’re not sure if a website is safe or not. Anti Phishing is good, but like we already mentioned, it can’t counted on to work with every single website that tries to trick you into giving it your sensitive information. FB Phishing Protection is great, but only if you’re worried about someone stealing your Facebook information and you don’t care about all the other website you frequent. To sum up, go with urlCheck and only use other anti-phishing addons that we mentioned if you know what you’re doing.